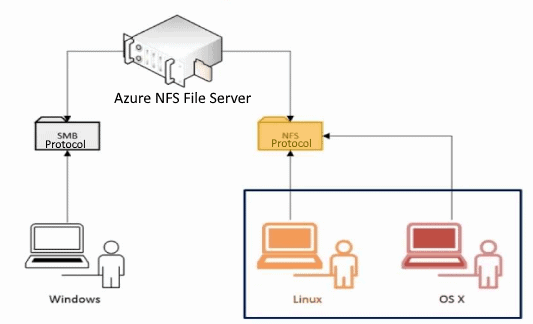 To setup an NFS server in Azure, use our marketplace listing. Its an NFS server 2016. 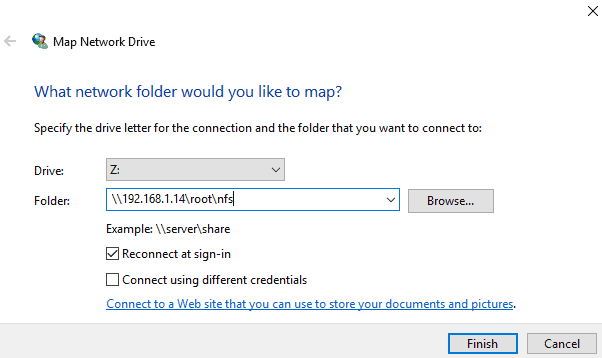 Network File System (NFS) 2016 Server provides a file sharing solution for enterprises that have heterogeneous environments that include both Windows and non-Windows computers. These steps will explain how to configure your NFS server 2016 in Azure. 01 – Open Server Manager and Click File and Storage Services. 02 – Select Shares on the left pane and click TASKS – New Share. 03 – For example, select NFS Share – Quick on here. 04 – For example, configure a specific folder as shared one, so check a box Type a custom path and input the path for specific folder you’d like to set as shared folder. (set as “Share” on this example). 05 – Input local and remote share path. 06 – Specify authentication methods. 07 – Set the share permissions. Click Add button. 08 – Specify the Hosts you’d like to grant access permissions like the example below. 09 – Click Next button. 10 – Specify permissions to control access on here. 11 – Confirm selections and it’s no problem, Click Create button. 12 – After finishing creating, Click Close button. 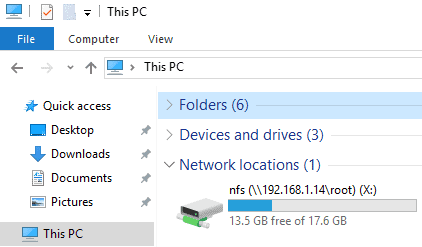 13 – NFS shared folder has been just configured. Now you have made the share, you can now tell your users to connect. If using Linux or UNIX, Create a directory in the /mnt directory. This is the local mount path. 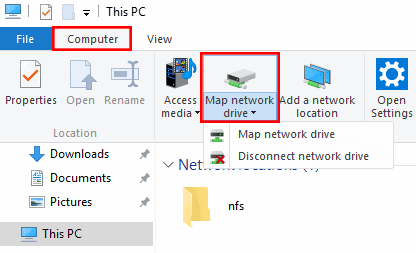 Once created, be sure you are inside the directory when you mount the nfs share on the Windows system. Test the mount by creating a text file within the new NFS Share and check that you can see it on both systems. If you have any questions about the setup of our NFS solution in Azure, leave your comments below and we will reply within 24 hours.